I have been delaying The Smile Has Left Your Eyes for the longest time until I ran out of things to watch. Mind you, I don’t have a long list of dramas to watch lately. The Smile completed this week so I guess I better finish it now. I am trying to keep my list short and sweet and be very selective on the dramas I want to watch. I am glad I chose The Smile because it is crazy interesting and mysterious with a touch of crime and romance. I started two weeks ago and I am now sitting on episode 13. Seriously, I am dying to see the ending because this drama lost me at first but now put me on adrenaline. Hello again!!! I finally got the girls (Nelly and Erl *waves*) back for another combined post. After “W” I was afraid we would never work together again. My Love for end of year list is humongous, I read every single one I see. So I was very excited to put this one together. 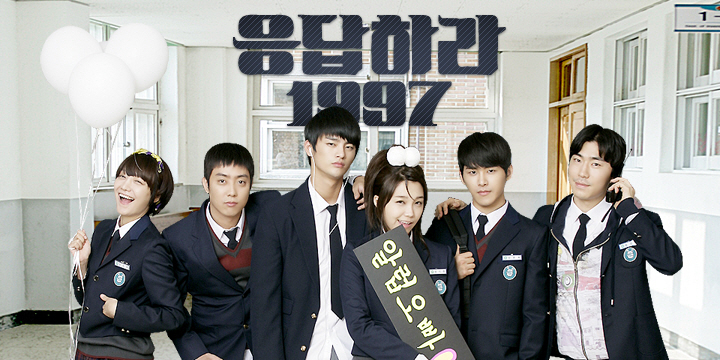 The last time I saw Seo In Guk, his drama High School King of Savvy received critical reviews. I mean, a teen who fell in love with a much older woman, definitely screams protest from all around. But to be on the fair side, she behaved like a high school kid, too. I enjoyed the drama for the most part and took the issue lightly. After all, it was only a drama and the ending was satisfying. I missed watching his I Remember You but I will certainly add this into my next to watch drama. Back to Shopping King Louie, I was not planning on watching it. It got great reviews and to be honest, I was trying to find an alternative to Jealousy Incarnate. The show infuriates me with the tug-n-pull plots between the OTPs. Thank goodness Shopping King Louie isn’t like that. In fact, this show is so refreshing to watch even though it is quite predictable. Or not. You know me, I love to be surprised and pretend I know nothing *laughs*. Plus, I love amnesia. Not on me, of course! Yes, amnesia is the main topic in this drama. Louie is the second generation chaebol but since his parents’ passing, his halmeoni placed her precious grandson far, far away from home. In Spain, to be exact. In a giant mansion. With maids and one loyal butler. Wow. When can I get a life like that? Wow. Louie is definitely spoiled. He does not have to lay a finger on anything. Whatever he want, his wish will be granted. Except for one. He doesn’t get his freedom. Being stuck in a mansion is a lonely life. His butler will chaperone him everywhere. Ok, now I don’t envy his life. Anyway, his uncle wants him dead. So he hired some bad bikers to kill Louie. Clearly because of the inheritance. Same old sh*t. Greedy family member. And Louie woke up forgetting who he is and where he should be. This is when the show gets funnier. I really enjoy watching Seo In Guk as Louie. His casual acting really awe me. His cuteness, his silliness, his quirkiness really makes me happy! I must say this is his best role ever since Reply 1997. You must watch him. He speaks cute Spanish. He speaks cute French. And the way he carries himself as Louie is squee-worthy. It almost feels as if the role is meant for In Guk. Okay, let’s be frank. There is nothing new with the story. The happy ending is almost predictable. But what I love about this drama is the acting. So carefree and funny. The scrips were well written. And the OST, oh my I’m totally in love with all the songs in this drama. I need to buy or download it soon. You should, too!!!! Anyway, Shopping King Louie is a must watch fall drama. With three episodes left, I can’t see how the writer will screw this up. Really I can’t. I’m currently watching episode 13 and this show still makes me laugh out loud! Another Parting was on my plan to watch list. I got curious and asked Max sunbae on Twitter. He said, “I’m hopelessly biased of course because it is Wang Ji Won’s first lead, but bearing that in mind, I thought it was quite good.” That’s a good enough reason for me to start watching it. Besides, since this web Korean drama is only 5 episodes long, with each episode about 10 minutes , I thought it was good of my time to catch up on it before going to bed. This drama is weird but quite good. An alien inhabited a dying person’s body and was asked to figure out what makes a human cry. This alien took Young Mo’s body and searched for a human. He met Ha Na who was about to jump off the bridge. She had a tough life and so Young Mo approached and asked her reason for crying. And then we were transported to a different scene where the caused of Ha Na’s tears was due to her recording manager. Young Mo was ready to kill him but it didn’t end up that way. Both Young Mo and Ha Na decided to escape instead. For what or why? I don’t know! After that, it was a bit mystery to me. I wasn’t sure what happened. It seems that once Young Mo disappeared, Ha Na had a deja vu. She saw herself… like another person resembling her ready to jump off the bridge. I guess she was able to convince herself to not jump. Life goes on and then we saw her performing in a club. One of her viewers is a guy that looks exactly like Young Mo. She walks toward him and kisses him immediately. Well, what kind of guy who doesn’t like to be kissed by a pretty woman like Ha Na, right? Taking A Dare! 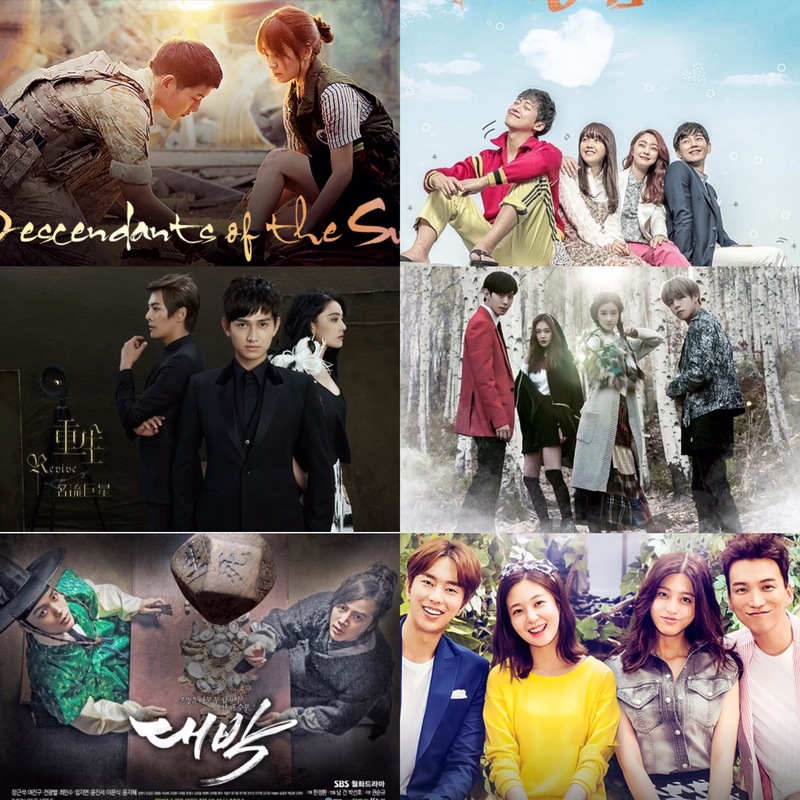 -Asian drama Style Day 21 to 25! Day 21: Your favorite ahjussi romance. Erl: This is tough. Which one? Does Marriage Contract count? I’m confused. Sada: The Spring Day of My Life… it was a beautiful story. Day 22: Your favorite noona romance. Me: This is easy! A Witch’s Romance! Who doesn’t like it? Imma get ya if you raise your hands! Mari: while I do love A Witch’s Romance, I have to go with the original. “My Queen” Ethan Ruan might be a douche in RL but in this show he made all my feels be feels! Followed by Dal Ja’s Spring!!! Erl: A Witch’s Romance. Oh so dreamy! And I am currently listening to the OST. Coincidence? Hmmm. Sada: Flower Boy Ramyun Shop any day…and Dal Ja’ sSpring…one of my all time favourites. Day 23: Drama where the child portion of the story was better than the adult one. Me: I typically don’t like the child portion but Can You Hear My Heart storyline was one of my favorite ones. They were sad and the kids were believable. The adult part was fine but I just couldn’t stand the angsty! Sada: The Moon That Embraces The Sun…it’s a universal answer. Day 24: The unhealthiest drama OTP who were better off not being together at all. Me: Urgh I can’t think of any! Mari: Recently I would say the OTP for Oh Hae Young Again. Bad couple! Just bad! The next is the OTP for High School King of Savvy. Erl: Kwon Ji-hyuk and Im Soo-ah from Shut Up: Flower Boy Band. I just can’t, sorry not sorry. Sada: Thorn Flower…still hoping for end subs. Day 25: Drama character you’d actually want to date (not just lust over). Me: Jang Geun Seuk’s character in Love Rain as Seo Jun. Don’t ask me why… He made my heart pitter patter like mad! Mari: Li Da Ren!!!! LI DA REN LI DA REN! From “In Time With You” ask me on Twitter & I’ll tell you why! Erl: Enrique Geum just because I have a thing for geeky talkative, fun loving guys. Let’s bring some love back to small screen! Yay, we are at the finale! ADGirl: I am ready when you guys are. 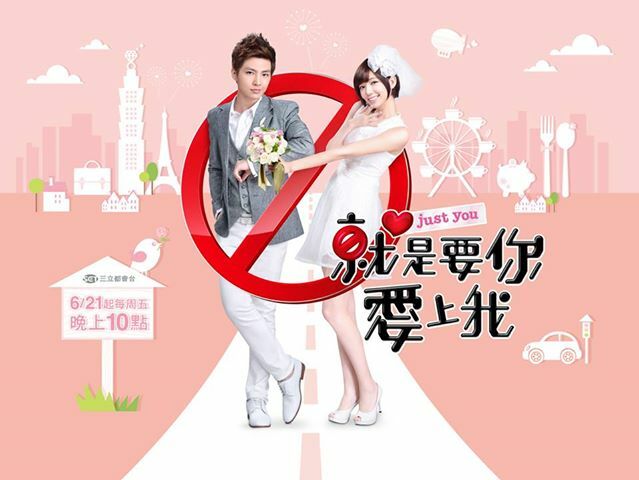 Just watching “Just You” While I am waiting. missienelly: Ok. Putting kiddo to bed now. ahsokaseoul: Let me get on my big computer. ahsokaseoul: ADGirl? She’s not on? Is she still at hockey? missienelly: I don’t think so. ADGirl: Sorry guys you can go ahead and watch, I am watching Just You with my daughter and we are having a great time laughing and watching it. You know when you can watch A-drama with friends or family takes it while you can. missienelly: I saw her online. There she is! Are you sure, ADGirl? ahsokaseoul: So you want to watch missienelly? ADGirl: Yes, I can watch later. missienelly: Ok. Just put your comment here later, ADGirl. Let’s start now! ADGirl: I am sad I am not watching the last one with you guys. I will add my comments later. missienelly: Ok great! Meow looks very confident. Yeah she’s a changed woman. ahsokaseoul: Meow is bragging about money? ahsokaseoul: Is she possessed again? ahsokaseoul: Good she was fffffreaky! Lol Take this wasted woman! missienelly: Awwwwww How did he know? missienelly: Gotcha! Look at him…. Aiyayay! Lol seduced in many ways! ahsokaseoul: Goodie a drunk Meow! missienelly: Cheri! Lol I’m going crazy myself too! missienelly: Hey, easy woman. Exactly! ahsokaseoul: I would say Stubborn! missienelly: She’s playing hard to get perhaps. Fighting! ahsokaseoul: Try harder to seduce me. Fighting! missienelly: *Fist palm* hehehe Bang Shil bang Shil lol Hahahaha wrong answer, uncle! ahsokaseoul: I know who wears the pants in that marriage! missienelly: For sure! He’s like a big kid hehe Make a “mark” and marry me lol. This cheap mouth guy hehe He laughs funny! ahsokaseoul: Yeah! Kang Candy fell for little sun! missienelly: Uh oh Candy Kang!!! Oooooh He’s driving nice car! missienelly: And black whiskered what? Whale! missienelly: She’s using full use of the ghosts! Hahahaha it’s King’s now. Sweet talk him over the phone? ahsokaseoul: King bought her house to hold on to it…for business reasons of course. missienelly: His finger is looooooong! I was like that originally. missienelly: Whoa! Look at her jewelry. missienelly: Gasp! Good job, uncle! ahsokaseoul: The trash can ghost. missienelly: I know! Too over powering with her hair color. missienelly: Aha! Wife and mom in law? His family? ahsokaseoul: The lottery killed him! ahsokaseoul: Now what about the coffee ghost? missienelly: So sad…. A family man. ahsokaseoul: King to the Rescue! ahsokaseoul: Who’s the Masters Sun? King to Meow or Meow to the ghosts? ahsokaseoul: Are you tantalizing me? ahsokaseoul: Really wicked..hehehe The Aunt said her name right! ahsokaseoul: Play. Sorry where are you? missienelly: Ok. Trash ghost and King. ahsokaseoul: That’s what I meant *sticks tongue out back* Let me know when to play. missienelly: Kang Woo! Little sun will be jealous if she sees both of them. Famous little sun. Red path = red carpet? ahsokaseoul: It’s too late in the series for that. ahsokaseoul: The Uncles eyes just got huge! missienelly: Lol ROFL Aigoooo Hey, this set looks familiar. From Goddess of Marriage! missienelly: Look at her! Stick thin! Awwwww Squeeeeeee No discount? ahsokaseoul: Meow bought the whole building…. missienelly: Phantom of the opera ringtone? Is she proposing??? *jaw drops on the floor* Will you come to me? missienelly: Not that lipstick! Provocative clothes! missienelly: He’s in checkers bow! Flowers too! So romantic!!! ahsokaseoul: Lol I don’t know who else could be romantic in THAT bow! missienelly: He’s not just going on a date either Meow, but with some other ghosts too! She proposed! She said it!!! missienelly: Squeeeeeeee Yes I love you! missienelly: Put me in charge of everything? Uncle you’re in trouble! Kang Candy!!!! Handsome!!!! missienelly: They’re suitable together. Oooo! Deja vu? Phew just flashback. Obligation to seduce me bahaha. Steve Jobs! missienelly: That’s a demand hehe Is this it???? Awwwwww good ending. Sweet sweet sweet. ahsokaseoul: Yes, very good ending!!! missienelly: Thank goodness not a Big ending! Can’t wait to watch Heirs next week! missienelly: Just watch up to ep15. I enjoyed it. But final episode ruined it all. ahsokaseoul: Oh well, I’ll probably watch it anyway. Thanks for watching with me! missienelly: I can’t stop humming Lonely love. missienelly: Not a problem, night! ahsokaseoul: It’ll be in my brain all night! I know you both are probably in bed; I am going to watch it now. I cannot tell you how much fun it was to watch a couple of episodes with my daughter of Just You. Her commentary made it even funnier. I was glad to laugh hard. She wants me to wait and watch more with her. I will watch ahead and watch with her. OK off to watch the Final episode. AWE Cruella and ROcky how sweet.Sister and Cheap mouth…That’s it King get into her life every way you can. We are routing for you.Yay, the Aunt is pregnant. So happy! Well not so happy now. Poor woman cannot carry babies. No wonder why she loves King so much like her own.That just makes me want to take all the bad things back that I said about her.She only wants the best for King and for him to be happy. Love Love Love it!!!!!!!!!!!! SSSSQQQQUUUUEEEE! It is almost 2 AM and I just finished. I hated the commercials by the end they started coming about every 3 minutes for about 1:30 min… Drove me insane. So I will give a better comment write up tomorrow when my brain can function. For now off to bed and dreaming of our beloved couple.